Theodora Dragostinova's Lecture "Between Home and Homeland: Migration and National Dilemmas across the Bulgarian-Greek Border in Early Twentieth Century"
This article was cross-posted from the Russian, East European, and Eurasian Center's (REEEC) E-news site. 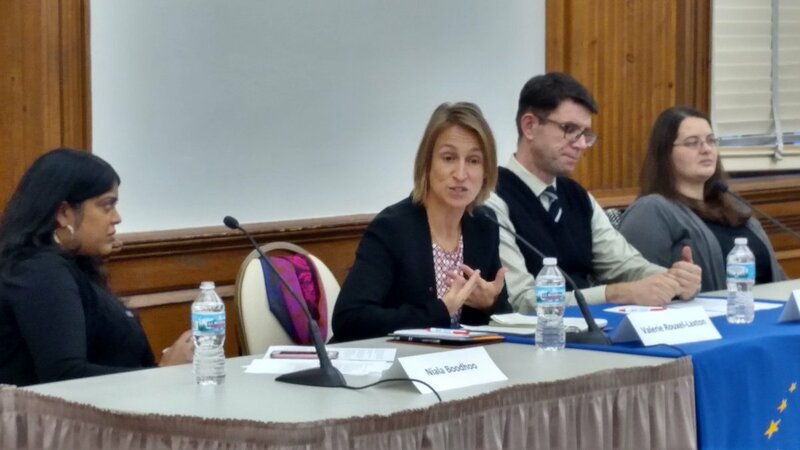 See the original posting on the REEEC E-news site here: https://reeecillinois.wordpress.com/2013/03/18/theodora-dragostinovas-lecture-between-home-and-homeland-migration-and-national-dilemmas-across-the-bulgarian-greek-border-in-early-twentieth-century/. On March 8th, REEEC in collaboration with the European Union Center hosted Dr. Theodora Dragostinova, Associate Professor of European History at Ohio State University and author of Between Two Motherlands: Nationality and Emigration Among the Greeks of Bulgaria, 1900-1949 (Cornell UP, 2011). Situating herself within a scholarly debate on whether the Balkan Wars of 1912-1913 were the climax of “ethnic unmixing” in the region or not, Dragostinova explored the migration trends of the Greek minority in the early 20th century. Her purpose was to see how the dynamics of political violence developed and how Bulgarian Greeks chose identities and homelands in the periods immediately preceding and following the wars. She looked, more specifically, at the Bulgarian-Greek refugee movements that took place in the period between the signing of the Bulgarian-Greek Convention on Voluntary Migration in 1909 and the Turko-Greek confrontation of 1922-1923. The 1903 Iliden Uprising had triggered the influx of approx. 30,000 Macedonian refugees into Bulgaria, who with their anti-Greek sentiments and protests against the situation of Bulgarians in the Ottoman empire, unleashed violence against the Greek minority. While Bulgarian parties initially took advantage of this, Dragostinova argued that the violence against Greeks never became a grass-roots phenomena, most Bulgarians having condemned such treatment of the minority because it tarnished the country’s image in the international press and because many of them in fact considered the Greeks to be their co-nationals. Despite the absence of grass-roots violence, however, the pogroms and expropriations did trigger a large emigration wave in the process of which a quarter of Bulgarian Greeks fled to neighboring countries, especially to Greece. Although it would be tempting to call this “ethnic unmixing,” Dragostinova called for caution. Indeed, the Greek government had actively encouraged such a migration, among others, by giving Greeks the land of expropriated Muslims in Thessaly. Yet, the refugees in fact thought that the Greek state had failed to provide and therefore, they started to return to their “native places.” Since their sense of home was not associated with a Bulgarian or Greek nation-state, Dragostinova argued, their behavior and sense of identity cannot be properly described with the concept of “national indifference.” Rather, as she explained, it was a Greek ethnic identity that was intermixed with a sense of belonging to a more narrowly conceived homeland. In the second part of her lecture, Theodora Dragostinova spun the topic further by looking at Bulgarian Greek migrations in the aftermath of the signing of the Bulgarian Greek Convention (1919). As in the case of the minority’s reverse migration in the 1910s, Dragostinova’s figures showcased some surprising trends. Among these was the reluctance of Bulgarian Greeks to emigrate (up until the 1922-1923 Turko-Greek confrontations) even though under the supervision of the League of Nations the convention allowed voluntary migration and provided compensation for property left behind. In light of this history of Bulgarian Greek reluctance to ethnically unmix, the Balkan wars seem an aberration rather than a climax, Dragostinova argued. In fact, her overall work shows that national identity remained in flux even in the last decades of the Ottoman Empire, as both ethnic Bulgarians and members of the Greek minority continued to appreciate local solidarity and made pragmatic choices based on economic interest, family considerations or sometimes based on the wish to avoid conscription. Ultimately, her research also underscores the fact that the nation-states themselves stood in the way of national homogenization since, as the example of the Greek state shows, they were not able to absorb the populations they desired. 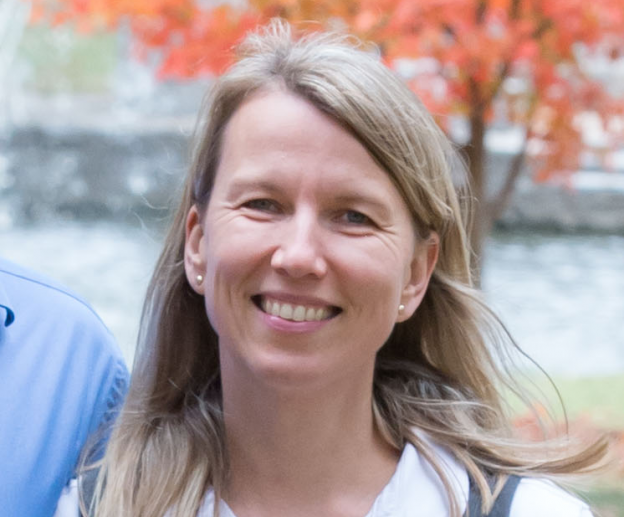 Zsuzsánna Magdó is a Ph.D. Candidate in History and the Outreach Assistant at the Russian, East European and Eurasian Center, University of Illinois in Urbana-Champaign. In December, I received an email from the Associate Director of REEEC Alisha Kirchoff about a National Guard unit stationed in Illinois that was interested in a lecture on Polish language, culture, and history. I must admit, I was pretty incredulous. Why in the world would a National Guard unit out of Central Illinois want a class on Poland? Random did not begin to describe the request. About a week later, I was contacted by the unit’s administrator, an employee of UIUC named Karen Hewitt. Apparently, Alisha nominated Jack Hutchens, a Ph.D. Candidate in Slavic Languages and Literatures, and me to lead the lecture. My incredulity ceased. Ms. Hewitt explained that the unit inquiring about Polish lessons was a BEST unit. BEST stands for Bi-lateral Embedded Support Troops. The purpose of a BEST team is to work hand in hand with America’s foreign military allies and make sure they have the logistics necessary to complete their mission, whatever that may be. This particular BEST team works exclusively with Polish forces in Poland and/or Afghanistan. After a few emails, Jack Hutchens, Ms. Hewitt, and I agreed on a lecture date: Sunday, February 3rd. Admittedly, I had no idea what I was supposed to talk about. Luckily, Jack was contacted to teach the language portion, which was the hard part. That left me with history and culture. I basically decided to talk about historical events and cultural differences that I felt were important for any American to know. After I put the final touches on my Power Point presentation, something hit me: my past and my present had finally collided. I was born in 1985 in Proszowice, Poland, a small town of about 6,000 people located 30 kilometers away from Cracow. With a little luck, my mother and I were able to leave the country in 1989, three months before the fall of the Berlin Wall, to join my grandparents in Chicago. I spent most of my childhood growing up in Burbank, a southwest suburb. After graduating high school, my life reached a dead end. My senior year was spent partying and doing everything I could to get out of class. My allergies to trigonometry aside, I still wanted to attend college. My ACT score was above average and I still finished with a 3.5 GPA, despite my terrible study habits. However, my family did not have the money to send me to college and financial aid would only take me so far. At the time, I was living with my grandparents. They packed my things for me one day about two months after graduation and told me I needed to move out (I had it coming). Long story short, I had nowhere to go, so I did what thousands of young people in my position did throughout the years: I joined the U.S. Army. The following six years were by far the most rewarding of my life. I had the chance to travel and live in some of the most exotic places on Earth. I worked with Kurds who fought against Saddam Hussein’s forces way before any Americans did. As a mechanic, I repaired experimental vehicles before they were used in major combat operations. Oh, and I got to play with grenades, C-4, and .50 caliber machine guns. Far better than working at my local fast food joint! Needless to say, I was awash with nostalgia when standing in front of that class full of officers and non-commissioned officers. The lecture went very well. The audience was motivated and interested; people participated as much as possible. I could not have asked for a better group to lecture to. I later found out that most of the BEST team had spent time with Polish troops in Poland so many things that Jack and I talked about were familiar. The BEST team enjoyed the two hour lecture so much that they invited Jack and I back for another session. As I mentioned earlier, my two worlds collided on February 3rd, 2013, and this was beyond rewarding. Most of my friends in Urbana-Champaign either study engineering or computer science. So the legitimacy of my Russian and East European major naturally comes into question sometimes. I have always defended REEES as a field necessary in the facilitation of good international relations in both business and politics. Many people from our field have used their education to broker peace and implement defensive strategies to minimize bloodshed. Talking and teaching the BEST team reinforced my feelings about REEES and made me feel very proud to be part of such an amazingly diverse department. Mat Jasieniecki is a Senior Undergraduate in Russian and East European Studies. His academic interests include the history, business, economy, and the IT sector of Russia and Eastern Europe. Mat is on track to graduate in May 2013. He intends to work in the private sector for 2 to 4 years before going back to school for an MA or MBA. Mat is also a U.S. Army veteran who has served 6 years, including in a combat deployment to Iraq from August 2005 to December 2006 with the 172nd Stryker Brigade. 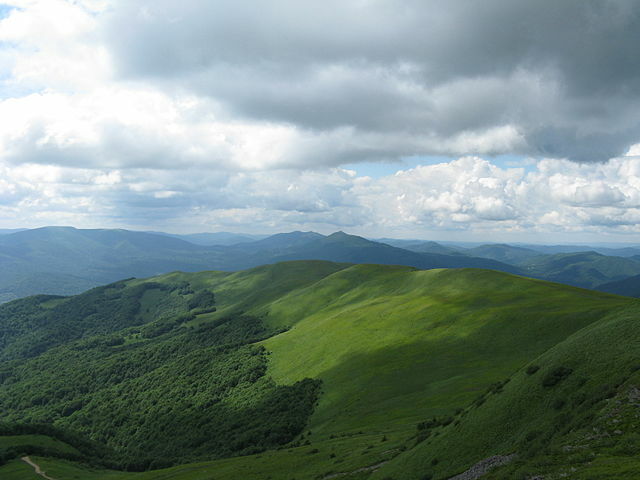 Photo: "Szeroki Wierch seen from Tarnica," © by Gese, Attribution-Share Alike 3.0 Unported, 2.5 Generic, 2.0 Generic and 1.0 Generic license: http://creativecommons.org/licenses/by-sa/3.0/deed.en. 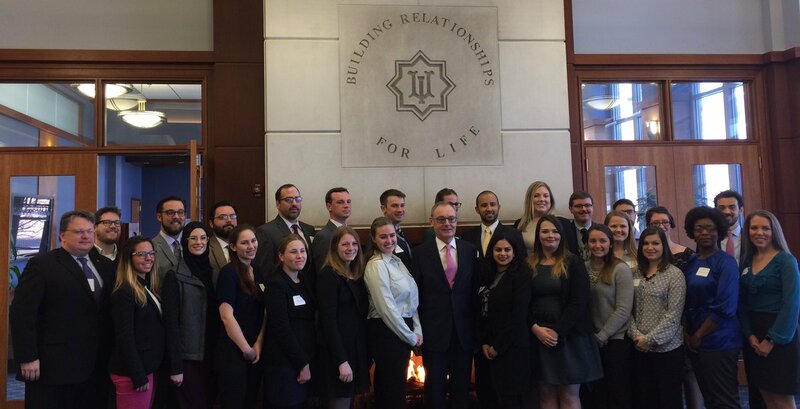 Members of the Chicago Consular Corps participated in a roundtable discussion on "Visions of a Future Europe" on February 15, as part of the twelfth annual European Union Day. Participants included German Consul General Christian Brecht, Turkish Counsul General Fatih Yildiz, Greek Consul General Ioanna Efthymiadou, and Croatian Consul General Jelena Grcic Polic. You may may watch video of their discussion below or here. On February 15, His Excellency Michael Collins, Ambassador of Ireland to the United States, delivered the State of the European Union Address as part of the Twelfth Annual European Union Day's proceedings. 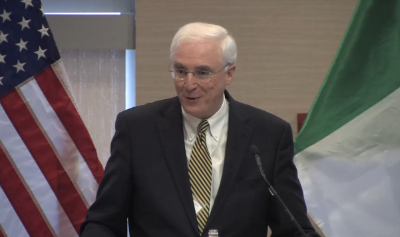 Ambassador Collins discussed Ireland's Presidency, the European Union as a force for democratization and peace, and the forecast for growth and recovery. You may view the address below or by clicking here. On Tuesday, February 12, visiting scholar Troy Storfjell presented a lecture entitled “Until the Sun Returns: Sámi Cultural Resilience.” As the title suggests, the lecture focused on the historical struggles and oppressions faced by the nomadic people known as the Sámi that inhabit the lands of northern Scandinavia. This particular lecture, as well as the body of work Prof. Storfjell discussed, is particularly interesting for two important reasons. The first is that Prof. Storfjell is himself a native of the Sámi people. The second is that he is a firm advocate of what he refers to as “indigenous methodologies” and conscientiously situates his own origins within the context of his study and debate. Prof. Storfjell decided to adopt this approach based on the methodology used in the first written account of the Sámi people. 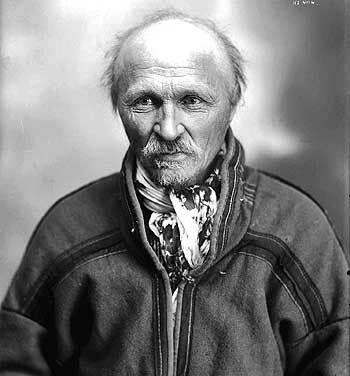 This account, which was written by Johan Turi (pictured below) in 1910, constitutes the first account of the Sámi people written in the Sámi language. And in it Turi does exactly what Prof. Storfjell does with his research, he situates himself within the people he is studying. From a purely academic point of view, this decision to “go native” would be considered a rather large faux pas by many. However, there are several contemporary scholars who have begun to advocate this approach, as it has the potential to provide new perspectives and insight into the discourse on oppressed peoples throughout the world. The professor’s lecture was not only very interesting in its subject material, but also very thought provoking in the implications of its structure and presentation. What is the value of presenting this information from the biased context of your cultural heritage and identity? Is the fact that Prof. Storfjell openly admits to his biases and passion for the subject matter a point of strength or of weakness? These questions and more arise when one is faced with such a presentation. This is especially true in regards to a study of the Sámi, a people whose native lands stretch across four contemporary nation-states and who have faced their fair share of oppression over the last few centuries. My own opinion is that this methodology is not only the right one to adopt when addressing an issue like this, but that it is the only one capable of providing an accurate depiction of the subject matter. Put another way, who better to explain the history and cultural struggles of a people than a native of that same people? It is precisely the passion and biases that Prof. Storfjell carries because of his heritage that presents us with the clearest picture of the Sámi people and how their traditions and communal identity has been affected by the changes that the world has imposed or allowed throughout the course of time. Despite my enthusiasm, it is important to note that this approach is not broadly adopted within academic circles and has received its fair share of criticism. 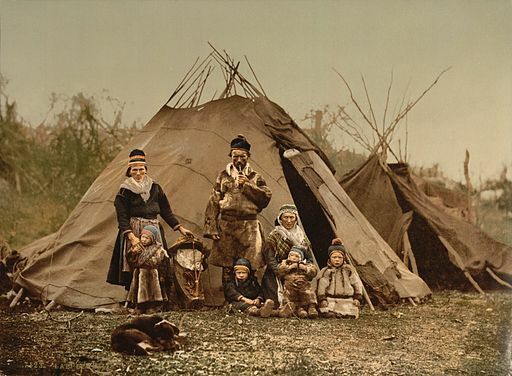 However, once you engage this perspective, the recounting of the survival of Sámi culture and heritage despite the imposition of borders, colonization, and western religion becomes something rather spectacular. The mere action of being able to present this lecture in this way is an important part of our understanding of the culture and people in question, and we stand to lose this if we failed to consider the important relationship at play between the form and function of the work Prof. Storfjell is doing. Josh Erb is a senior in Global Studies. He is currently a Foreign Languages and Area Studies Fellow for Arabic through the European Union Center. He is interested in many topics related to cultural heritage, policy, and identity. He is currently completing a senior thesis on the topic of North African immigration to Europe, and plans to continue studying this topic next year while attending graduate school at the University of Chicago. 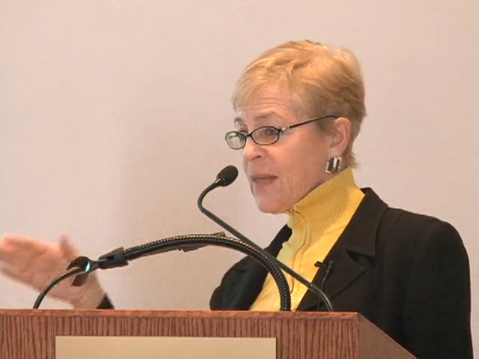 On March 4, Professor miriam cooke, Braxton Craven Professor of Arab Cultures at Duke University, and Director of the Duke University Middle East Studies Center, delivered a lecture entitled "Mediterranean Networks: Connecting People, Ideas and Cultures Across Time." Focusing on the transcultural networks of exchanges, borrowings and appropriations that have long linked the Mediterranean's diverse communities, cultures, and histories, cooke examined the ways in which these networks have constructed Medizen subjectivities. 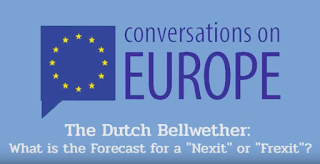 This lecture is part of the European Union Center's Jean Monnet Lecture Series. A complete video of the lecture is available below. 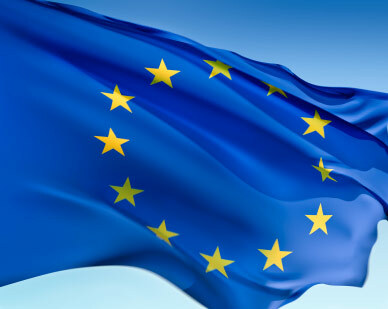 The General Report on the Activities of the European Union 2012 has been released by the European Commission. The Report highlights last year's activities linked to the key priorities of the European Union. 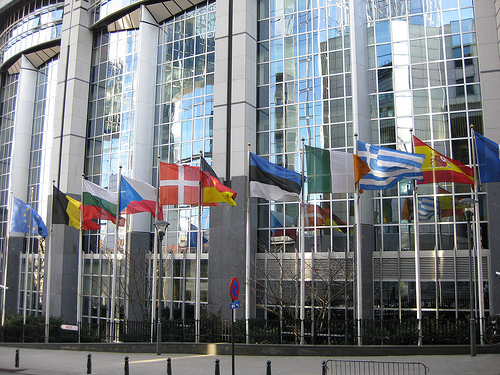 It is distributed to the Heads of State or Government of the Member States, to the Members of the European Parliament and to the Chairs of its parliamentary committees, to the Presidents of the other European institutions and bodies and to the chairs of the European affairs committees of the national parliaments. The Report, which is also available as an e-book, can be accessed in 22 languages via the following link: http://europa.eu/generalreport/index_en.htm. 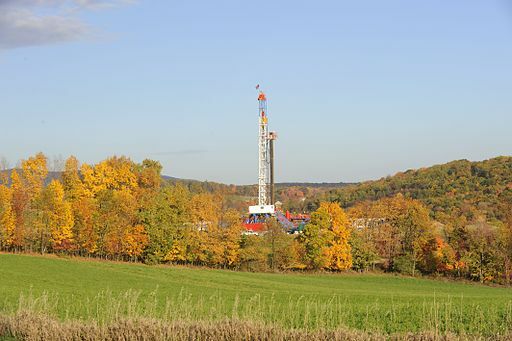 On February 6, the EU Center of Excellence at the University of Illinois participated in a video conference on shale gas in Poland hosted by the University of Pittsburgh. Dimiter Kenarov, a freelance journalist based in Turkey, discussed the debate over fracking and its impact on global politics. As a way of continuing discussion and further analysis on this important topic, those interested should review the recently published strategic primer, “European Views On American Natural Gas Exports.” The report identifies the shared interests and connections between the U.S. and Europe on the subject of gas exports. The primer is a publication of the American Clean Skies Foundation. On March 4, miriam cooke, Professor of Arab Cultures at Duke University and the Director of the University’s Middle East Studies Center, was interviewed on Champaign-Urbana's NPR station, WILL-AM 580. 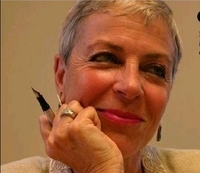 Cooke spoke with Jim Meadows, host of Focus, about Islamic feminism, women who inspired the feminist movement in the Middle East in the 1990's and her early interest in Muslim women's writings. 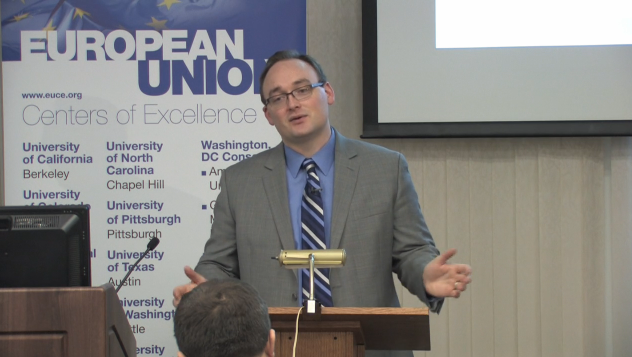 Professor cooke is the European Union Center's visiting speaker for the Jean Monnet Lecture Series. 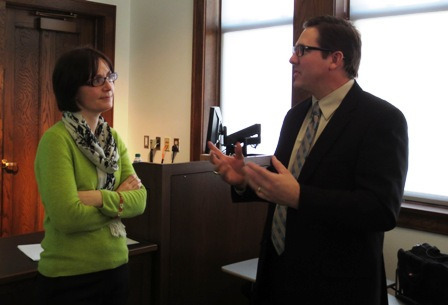 Following the interview, Professor cooke delivered a lecture to students and faculty entitled, "Mediterranean Networks: Connecting People, Ideas and Cultures Across Time". Focusing on on the transcultural networks of exchanges, borrowings and appropriations that have long linked the Mediterranean's diverse communities, cultures, and histories, cooke examined the ways in which these networks have constructed Medizen subjectivities. Listen to Professor cooke's interview on the Focus website. José Manuel Barroso, the current President of the European Commission, described the European Union in 2007 as, “a very special construction unique in the history of mankind ... Sometimes I like to compare the EU as a creation to the organization of empire. We have the dimension of empire…What we have is the first non-imperial empire. We have 27 countries that fully decided to work together and to pool their sovereignty. I believe it is a great construction and we should be proud of it.” The EU is an increasingly important and influential set of institutions that more and more represents a full-fledged government. Its combined members boasted the largest GDP in the world in 2012, and this growing influence makes understanding how this quasi-government functions more and more imperative. The Model European Union registered student organization (RSO) at the University of Illinois represents an opportunity for students to learn more about the EU and how decisions are made beyond the classroom while travelling, practicing public speaking, and developing other skills. 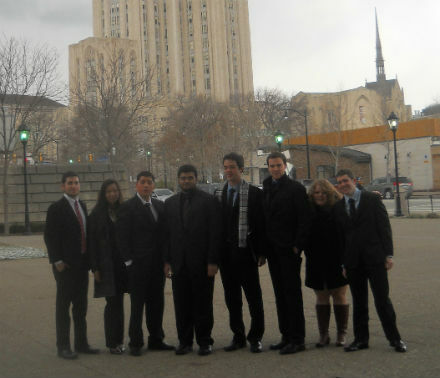 A relatively new RSO on campus, we travel to conferences around the US hosted by other universities, recently participating in our inaugural conference at the University of Pittsburgh from February 15-16. New members of all majors, backgrounds, and interests are always welcome; in fact most of the group that travelled to Pittsburgh had no experience in these types of conferences prior to the event. Outside of conference activities we usually have the chance to tour the host city and socialize with each other and students from the other universities attending the conference. We are currently prepping for our next conference, April 11-12 in St. Louis. Conferences can feature the simulation of any number of EU institutions, and Pittsburgh featured the simulation of a European Council summit. 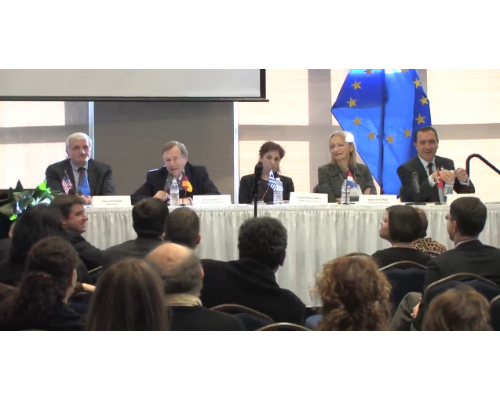 Each EU country was represented at the conference, of which Illinois participated as four: Austria, Cyprus, Ireland, and Malta. The Austrian delegation consisted of junior Pathik Patel and myself; senior Samantha Taylor and sophomore Noe Navar attended as Cyprus; senior Connor Christensen and junior Michael Normoyle represented the Irish presidency; and junior Nicacio Corral and sophomore Sarah Bahn played the part of the Maltese delegation. The purpose of these simulations is for each delegation to accurately portray its country’s position regarding a particular issue. The conferences provide an opportunity to learn about European countries and gain practice in public speaking. Students do light research on their country’s position prior to the conference. The Pittsburgh agenda consisted of three items: the Arab Spring, the Roma controversy, and the democratic deficit in the EU. The conference began with each country introducing its position on Friday night, and deliberations commenced Saturday morning and afternoon. The Council spent most of its time discussing the Arab Spring and after a few hours was able to pass a resolution giving the European External Action Service the task of recommending changes and incentives for European Aid to these countries based on democratizing progress, but French concerns over its national security prevented much progress from being made in other areas. Paul Christianson is an undergraduate senior at the University of Illinois at Urbana-Champaign majoring in Political Science and History, with a focus on international relations for both. He spent much of 2012 studying international organizations and diplomacy in Vienna before experiencing firsthand the European Union in the University of Washington’s Summer EU Studies Program. After returning the Urbana-Champaign in August, he felt the inspiration to form a Model EU organization at the University of Illinois. The organization meets weekly on Wednesdays and can be contacted through its email address at illinoismodeleu@gmail.com.